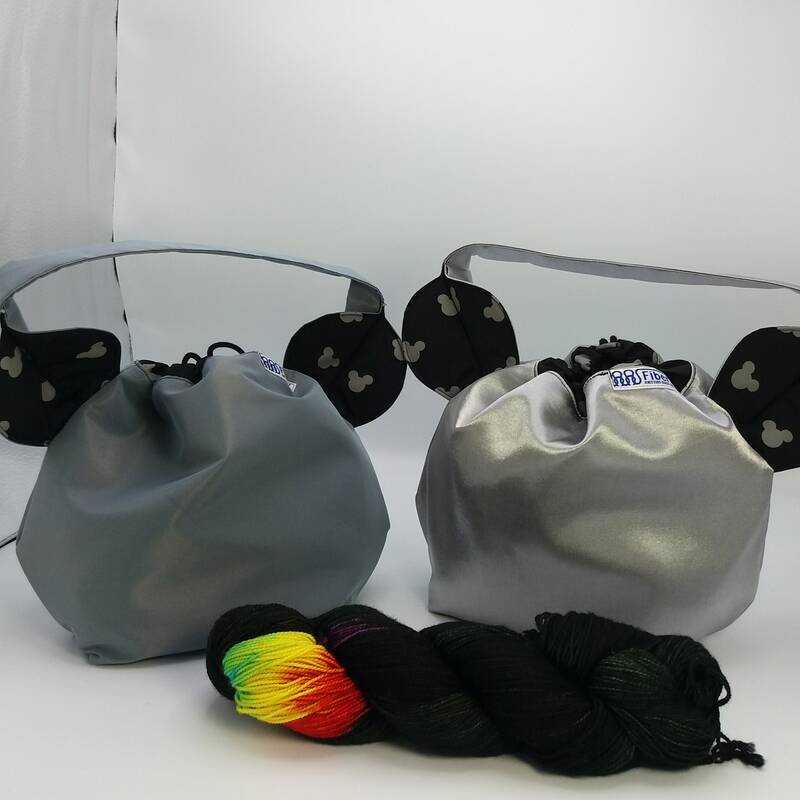 This special edition Mickey and Minnie Mouse series is available in 6 sets for a total of 12 bags, all one of a kind. 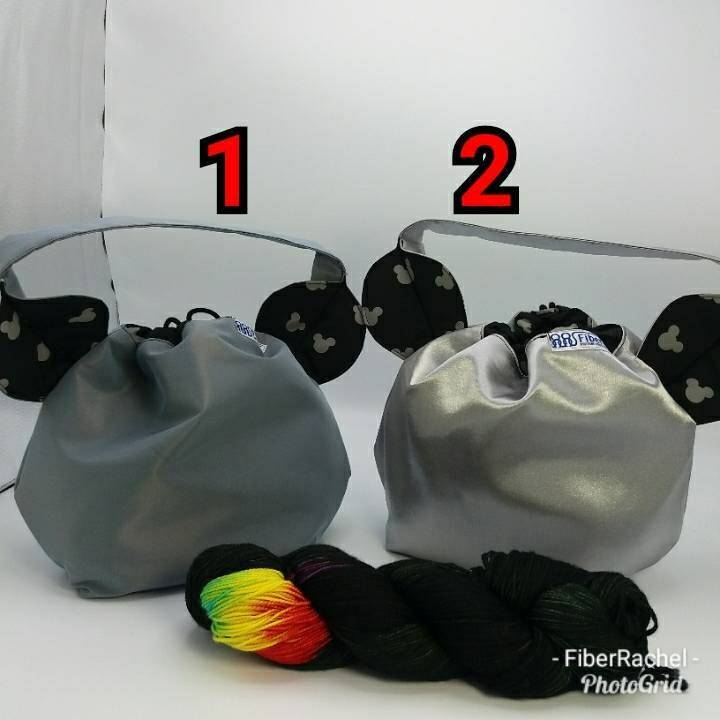 Choose your favourite version from all the offered listings. 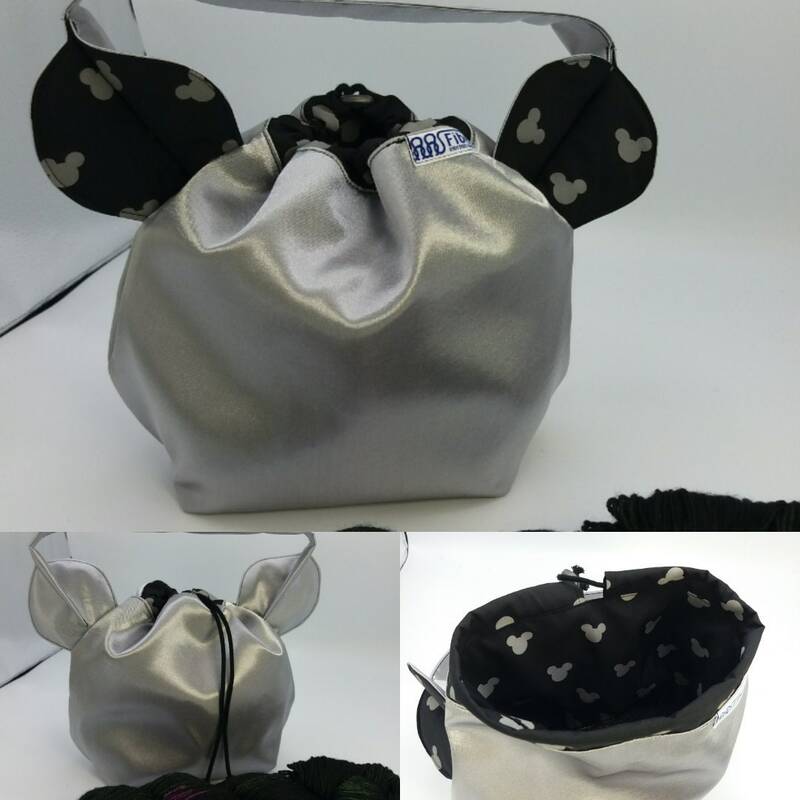 There won't be any more of these made, grab one while you can. 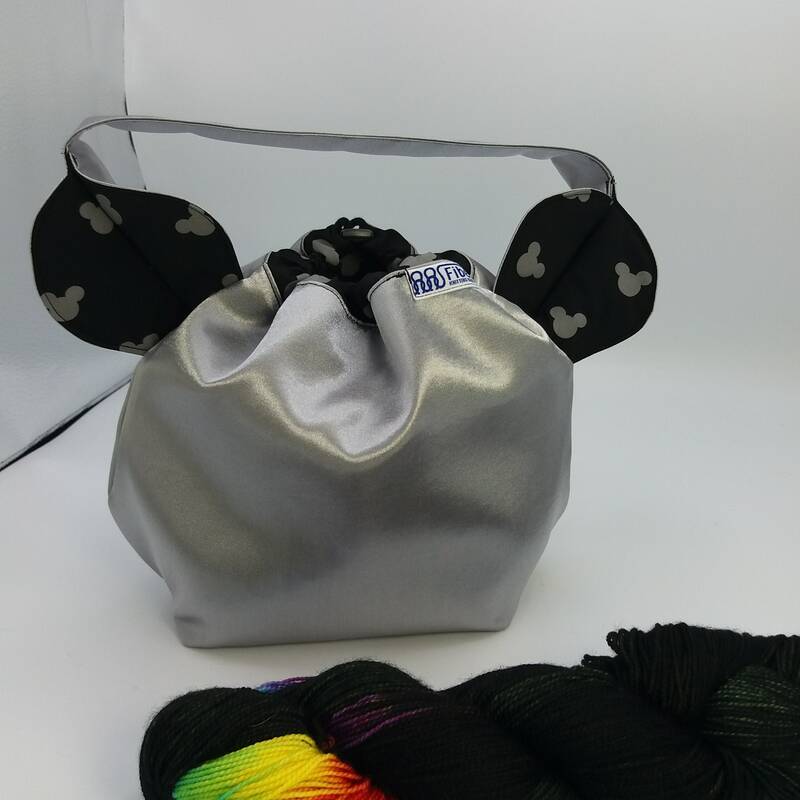 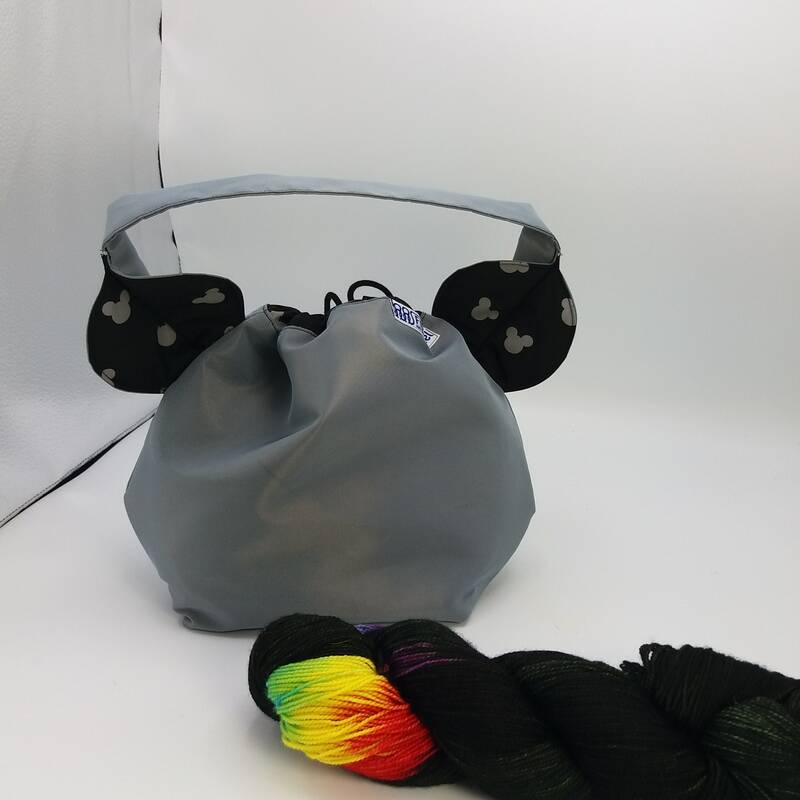 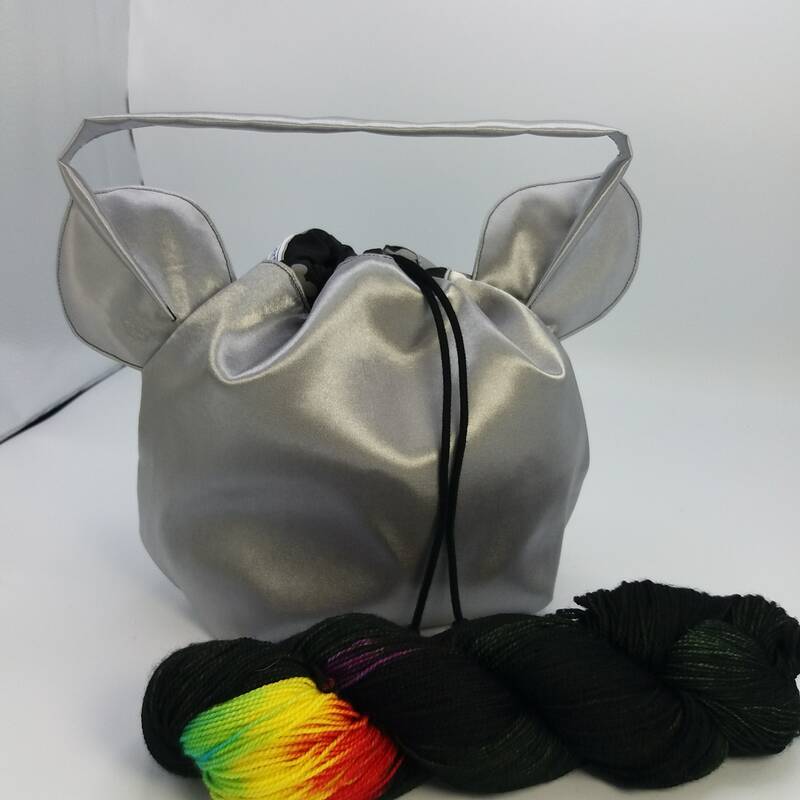 The Ears bag is a fabric drawstring bag with a sturdy cord and stopper, handle, lightly interfaced and fully lined. 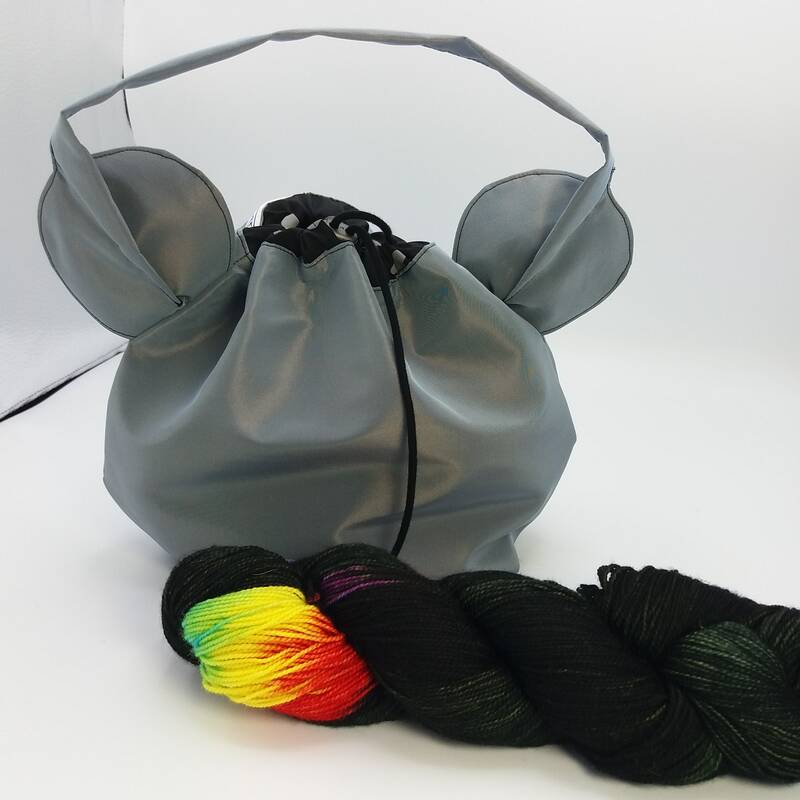 Especially suited for knitting or crochet projects using 1-3 balls of yarn, like socks, mittens, hats, scarves, toys etc. 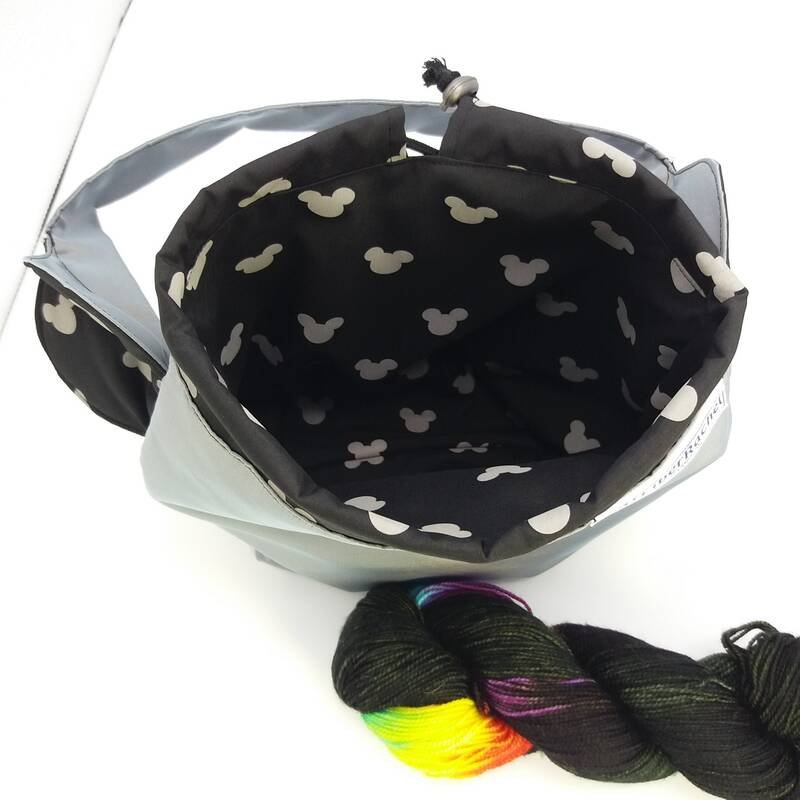 Size: approx 10 cm deep by 22 cm high and 29 cm wide, 4" x 9" x 16" . 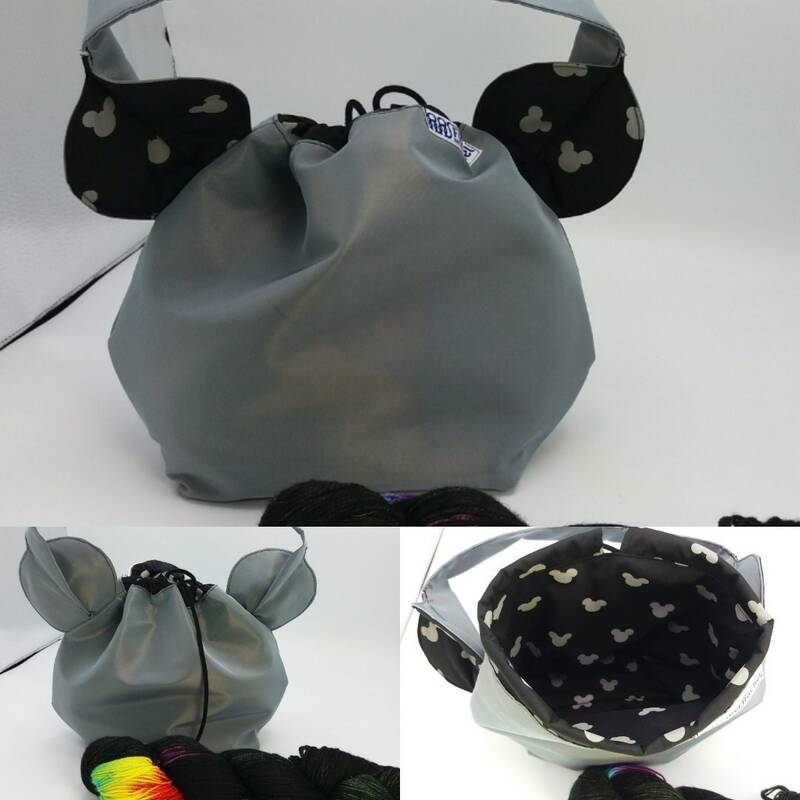 The bag can be stored flat but due to it's construction it can also stand up free, the sturdier fabrics even when empty. 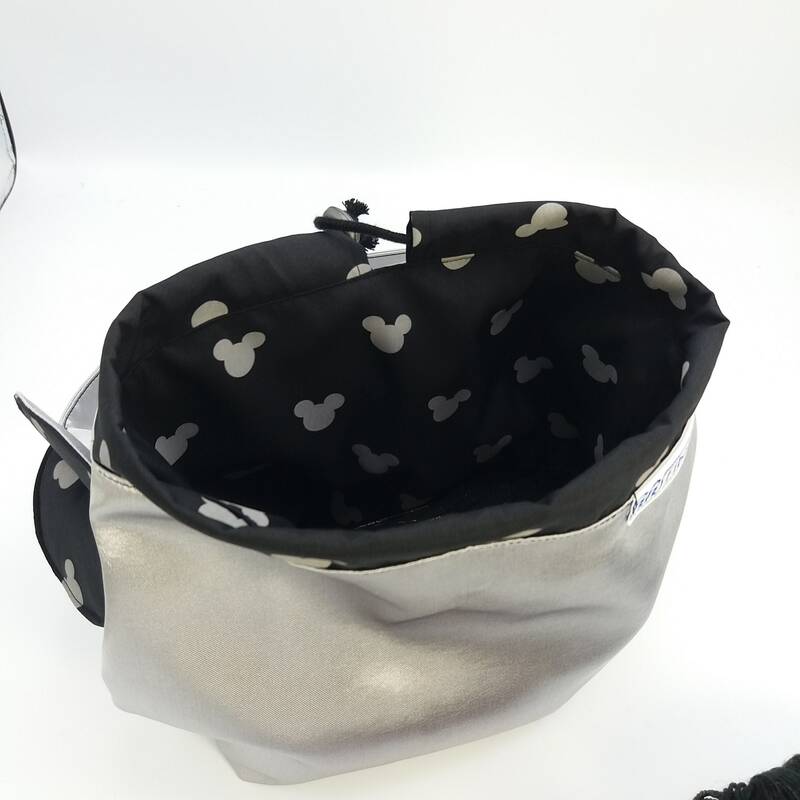 The pictures are of the actual bag you are buying, all my offered bags are ready to ship.